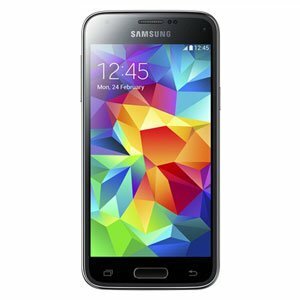 Samsung Galaxy S5 Mini Duos is the exclusive Dual SIM mini version of the Samsung's 2014 flagship Galaxy S5. It offers a compact 4.5-inch Super AMOLED capacitive touchscreen display with an HD 720p resolution to watch videos and to play games with stunning visuals. The size of Galaxy S5 Mini Duos is ideal for those who prefer one-hand operation. Despite cutting down in size, Samsung has not compromised on S5 Mini's internal hardware and performance. Powered by a super fast Quad-core CPU with the clock rate of 1.4GHz, the processor delivers superior performance and speedy app processing without any lag so that you can enjoy high-end applications and heavy tasks smoothly. Physically, the device features a 9.1mm thin construction quite similar to the Galaxy S5. Its body is IP67 certified making it dust and waterproof so you can even use it in heavy rain without worrying about water splashes. A fingerprint sensor (on home button) is part of its design and allows secure unlocking of the device without compromising on your privacy. The phone is equipped with a stunning 8MP primary Auto-Focus camera that is capable of Full HD 1080p video recording and lifelike image capturing.